Our Chamber Members have been outstanding in supporting the different initiatives throughout the past few years including Tavern Day, Banner Ad Program and our Annual Community Awards Dinner to name just a few. It’s time for our Annual Community Awards Dinner on May 7th and our president, Peter Bevivino, is once again asking that our Membership step up to make this a wonderful evening for all of us, our Award Winners, their families and all who will come and support our Chamber, Burlington and the greater Community. The Awards Dinner will be held at the Men’s Club in Burlington at 44 Covey Road. It is with pleasure that we support this Burlington entity! Please go online to secure your Sponsorship and/or Tickets for the event and use our convenient payment options. 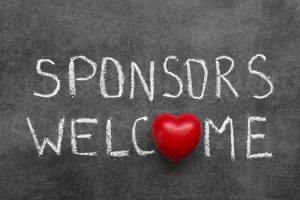 Sponsors, please purchase your sponsorship before April 23rd if you’d like your logo to be printed in the event program. We need an accurate headcount for the caterer by April 30th, so please RSVP soon.